Arlington developer Adlai Pennington owns what may be the area’s most awesome man cave. It occupies about a quarter of the area of a rather large warehouse and is outfitted with an eclectic assortment of antique appliances, wide-ranging works of art, historic photographs, a stuffed mountain lion, some old signs and, of course, a bar that offers a varied mixture of adult beverages. 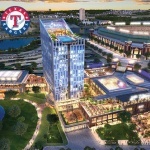 It accommodates guests, sometimes up to a hundred or more, who show up for events such as political gatherings, birthday parties, barbecues and even a wedding reception. 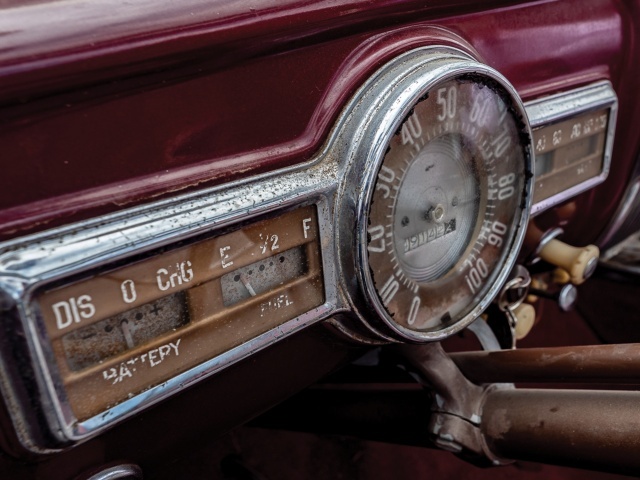 All of that is surrounded by a remarkable collection of unrestored collectible vehicles stretching across history from a 1916 Model T to a 1986 Jaguar. There are no two alike and, really, all of them would qualify as one-of-a-kind since it’s unlikely you would find another exact match for any of them. It all started for Adlai when he traveled to the small town of Nocona, Texas, in 2005 to check out a racehorse he was thinking of buying. It turned out the horse was past its prime and not what he was looking for. 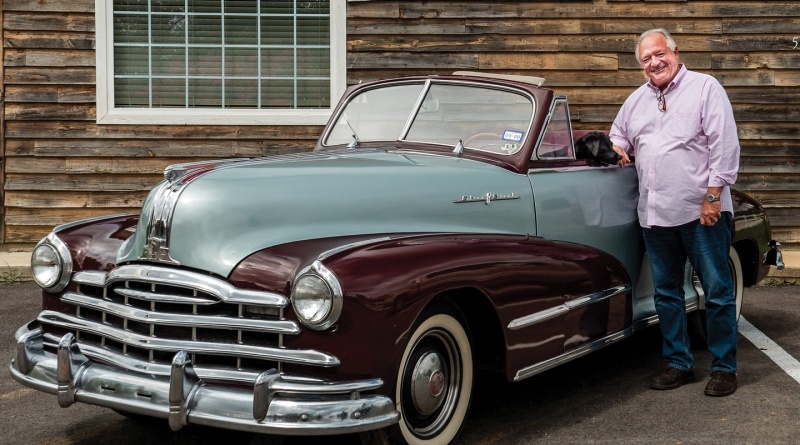 But, the owner asked him if he was interested in buying this 1948 Pontiac Silver Streak that had gotten a fresh paint job and new upholstery as a gift for his wife. The marriage had broken up, and he needed to sell the car. 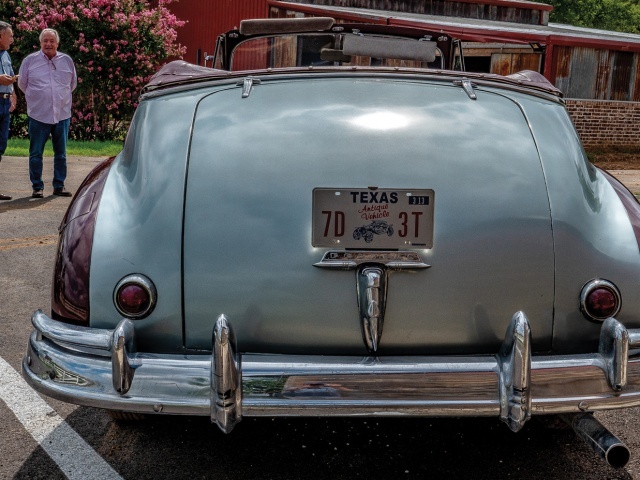 Adlai said he would take it, sight unseen, and that marked the beginning of his collection that today numbers more than 20 vehicles. 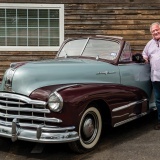 After word got around that he had acquired the coveted 70-year-old Streamliner convertible, he’s been called on to provide transportation for brides, prom queens, and special occasions such as Arlington’s big Fourth of July Parade. 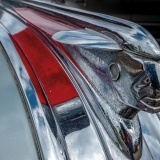 The car has a rich history of Pontiac styling including triple “Silver Streaks,” a horizontal grille theme with vertical shaft, and round taillights. 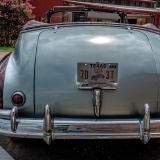 The moniker emblazoned on both sides of the hood includes an “8” between the words denoting the flat head eight-cylinder engine that was standard. You could get a six-cylinder version as an option, like this car has, but the badge still boasted the eight. 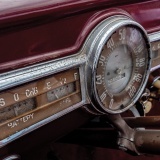 The interiors had two-tone trims like you see here on what remains of the instrument panel and a deluxe steering wheel that has just about been used up. 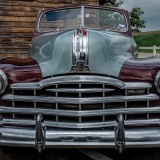 But the big story of the 1948 Pontiac was the addition of the Hydramatic automatic transmission as an option. 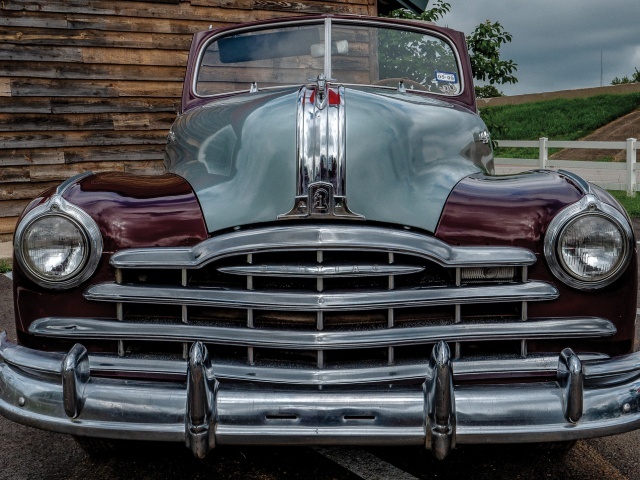 General Motors offered it on its higher priced Cadillacs, Buicks and Oldsmobiles, but you could save some money for the pleasure of eliminating the clutch and manual shifter if you went for the Silver Streak. 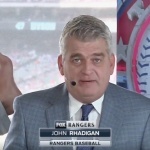 Note that there is no “P” for Park in the new-fangled transmission. The owner’s manual said to put it in Reverse when turning off the ignition. 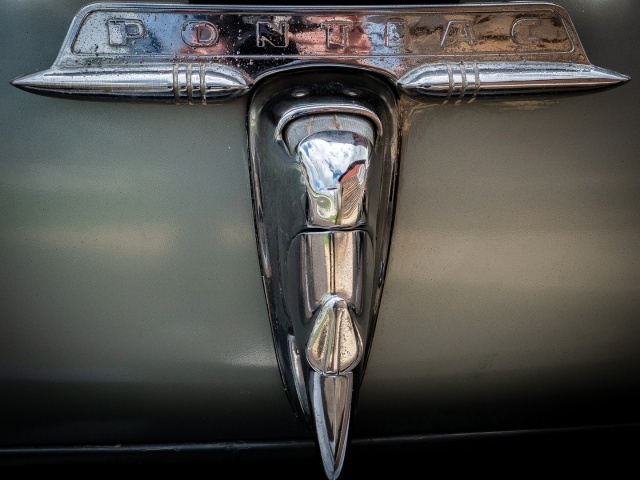 The car enjoyed a lot of success with the buying public, as Pontiac produced more than 300,000 of the 1948 models. But, only about 11,000 were convertibles. 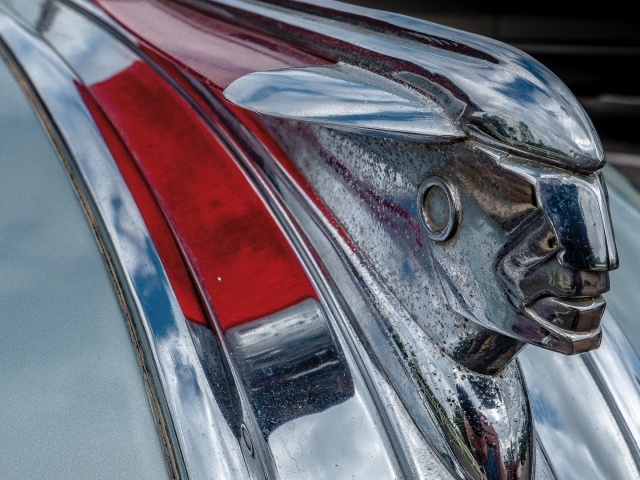 It was the last year for this version of the Silver Streak that had been produced since 1940. As was the case at all automobile plants, production stopped during the war years then resumed with cars that looked a lot like what they were offering before the war. 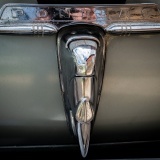 By 1949 Pontiac had begun a transformation in design well into the decade of the 1950s, making Adlai’s prize a real collector’s vehicle. 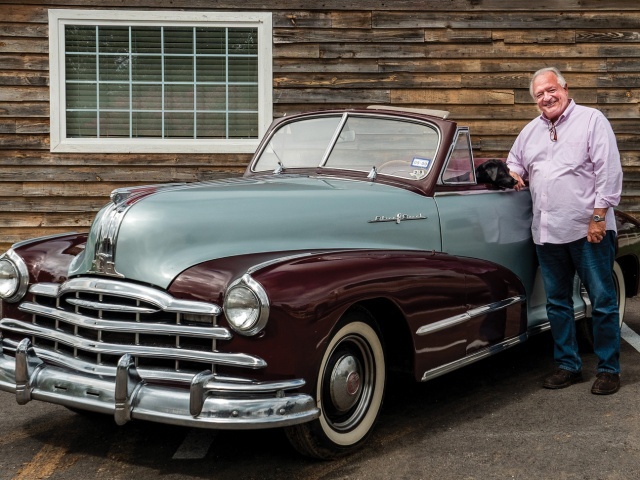 That he went looking for a racehorse and came back with what is regarded by some as the country’s first muscle car, is quite a turn of events. Then it led to a big, uncommon collection of classic and curious vehicles to be found anywhere. All you need to see them is an invitation to the big man cave where they reside. ← Are you ready for some Esports? !